Bring your Easter food to be blessed at one of the four occasions during Holy Saturday. The blessing will take place in the church proper during the morning and in Fr. Mikuš Hall after the Easter Vigil. 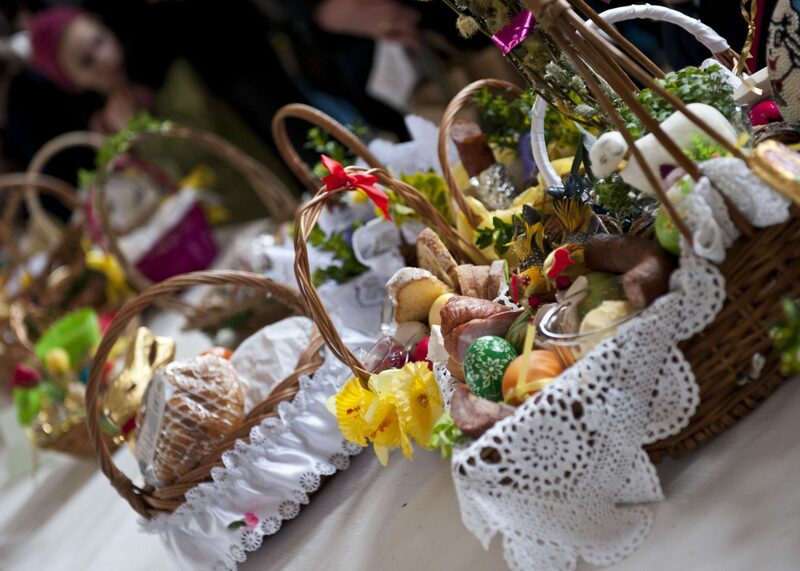 The custom of blessing food on Easter arose from the discipline of fasting throughout Lent and the special Easter fast during the Easter Triduum. Easter was the first day when meat, eggs, and other foods could again be eaten. Although not of obligation, the special fast during the Triduum may still be observed as well as the tradition of blessing food for the first meal of Easter. This custom developed into various forms in different regions/countries and people would bring foods to be consumed either immediately after the Easter Vigil or on Sunday morning. One form of the rite (practiced in Slovakia) contains separate blessings for meats, diary products, and bread (Pascha). Blessing of Easter food is to be associated with Easter Vigil. Respecting the silence of the Holy Saturday, the only day when there is no liturgy in the Catholic Church and the Church only waits in silence for the gift of redemption and new life, the blessing of the Easter food is best to take place after the Easter Vigil or on Easter Sunday morning.